It’s no secret that there is a lack of diversity in the tech world. And, wanting to change this was a big reason I recently transitioned from recruiter to diversity strategist at LinkedIn. My question was, what can I do to make LinkedIn (and tech overall) more welcoming and appealing to diverse professionals. 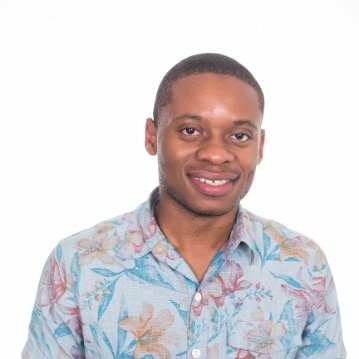 I’ve had friends and family members pursue roles in other industries because they don’t feel comfortable working in tech, as it’s an industry in which people of color are highly underrepresented. Solving this problem got me thinking about scenarios where I’ve been able to really be myself and showcase my skills (and seen others do the same.) And, what came to me was: open mic nights (events where anyone can perform whatever they want on stage). 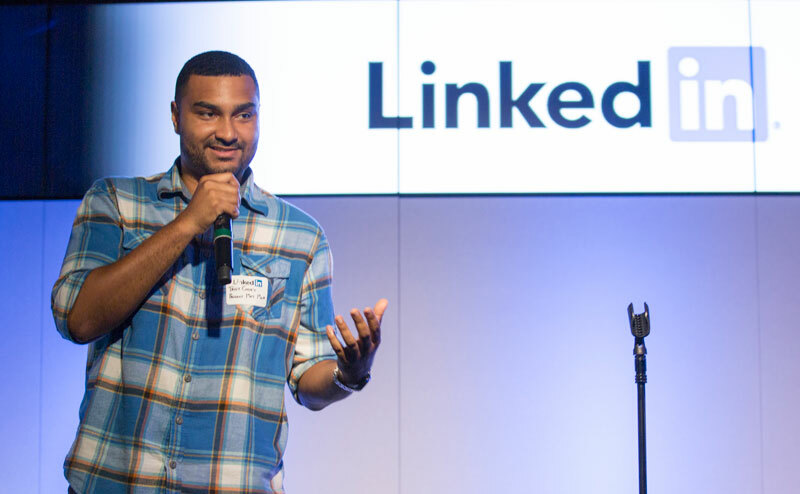 Sure, LinkedIn already had open houses where prospects and hiring managers could chat, but an open mic night would take that up a few notches because it would allow attendees to be in a more relaxed atmosphere where they can come together and be themselves, which is something diverse employees often struggle with. My manager and LinkedIn employees got wholeheartedly behind me and so far we’ve held 3 open mic nights. The results have been very promising—we have had 350 total prospects attend our events and we’ve made 10 hires. The feedback has been overwhelmingly positive with the first event receiving an unprecedented net promoter score (NPS) of 97. And, attendees told us exactly what we hoped to hear: events like these are an enormous step in the right direction. Plus, for those of you who are conscious of the price tag—the open mic nights cost less than our traditional networking gatherings. Before making the event happen, I had to get buy in from my manager, as well as other Talent Acquisition leaders, that this was worth the risk. You see, while open mic nights can be a lot of fun, they can also be unpredictable—you never know when someone could go off on a rant or continue to sing “Sweet Caroline” on repeat, which would make it a bad experience for just about everyone. Getting positive feedback from our target audience internally was crucial as I was able to leverage our ERG members as advocates for the idea when I brought it to my manager. Once we got the buy in, the next challenge was to figure out how to get diverse professionals to attend our first sales-focused open mic night. To spread the word, we had our ERGs reach out and invite diverse sales professionals from their network. Our recruiters also leveraged our LinkedIn Recruiter tool to send Inmails inviting guests. These tactics worked and ERGs became the largest source of attendee referrals. From there, word started spreading and prospects began signing up en masse as they were intrigued by the unusual concept. In order to make sure these events had a clear ROI, we made sure that everyone we invited was a high quality candidate. In other words, we sourced people who we felt would be a good match for our open roles. Once we knew who was coming, our recruiters created scouting in order to ensure hiring managers spoke to the right attendees—the people who could be a good fit for their open roles. We also gave them some must-know info about each attendee on their list. And at the event itself, we made sure to register everyone at the door in order to keep track of where each attendee was in our ATS. In addition to inviting people we source on LinkedIn and through referrals, we used this as an opportunity to go the extra mile with candidates we were already talking to and sent them invites to the event. This gave our hiring managers the chance to further cultivate those relationships and answer any questions. Plus, those candidates were able to get a good feel for our culture and see if they would want to work at LinkedIn. I was a bit nervous for our first event in San Francisco—would people actually get up and sing? To make sure they did, I approached a few LinkedIn employees that I know and asked them to perform, with the intent of encouraging the talent pool to join in on the fun. As it turned out, I shouldn’t have worried. The crowd didn’t take long to get in on the fun, singing, clapping, and even dancing along. We’d set up tables, but people were often on their feet. Hiring managers, who wore easy to spot red tshirts, spoke with attendees and were sure to speak with everyone who was on their scouting list. Overall, it was a success—attendees raved and candidates felt like they had an opportunity to really shine—more importantly, they got a real sense of LinkedIn’s culture, and they were excited about what they saw. An added bonus was that while we were attracting new talent, the open mic was also a huge engagement tool for our own employees who attended or performed. It gave them a chance to show off their own talent and bring a different side of themselves to work. 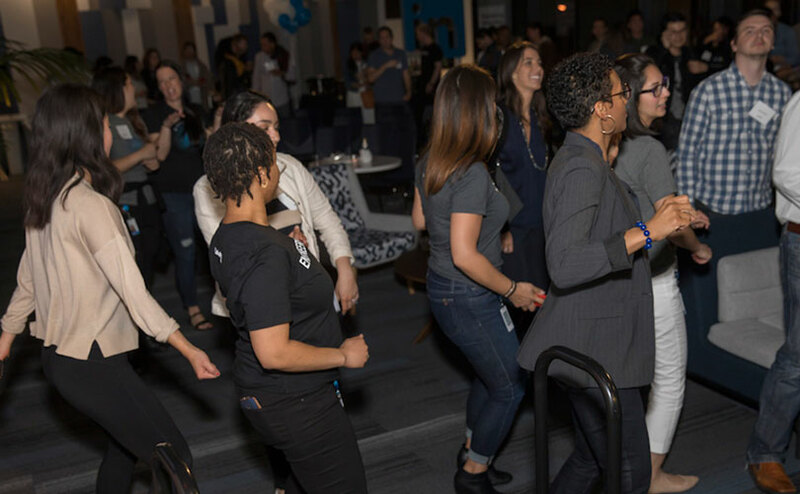 Many employees said it made them feel proud to work at LinkedIn, meaning an event like this can also help with retention. One piece of feedback we’d received from these events was that attendees were always interested in hearing more about LinkedIn. So, for our next event, we brought in three speakers who talked for about five minutes apiece about their roles in the company, and the impact they felt their work made. Our keynote speaker was a female engineering leader who discussed her career before LinkedIn and her journey growing the LinkedIn membership to 500 million members today. The beauty of events like this is their simplicity. The relaxed format makes it easy to adapt them for different audiences. Open mic nights are also less expensive than a traditional open house, and a lot more fun for everyone. And the best part is, events like these aren’t just fun: they’re productive. We’ve made some great hires, including Mary Martinez, an impressive female candidate for a senior software engineering role, to our team. It just goes to show: events like these give you a chance to meet talented candidates from diverse backgrounds and really get to know them beyond a sheet of paper.